Workers at Arriva Rail North (Northern) are to stage fresh strikes in the long-running dispute over the role of guards on trains. 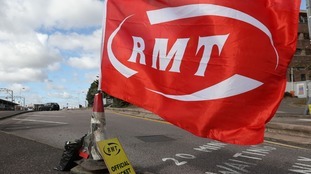 Members of the Rail, Maritime and Transport union (RMT) at Arriva Rail North (Northern), will walk out today (October 6) as well as October 13 and 20. Union general secretary Mick Cash said the Northern dispute would have been "entirely preventable" if the company had listened to the union's deep-seated safety concerns. "In spite of the collapse of this week's talks, RMT will not be deterred in its efforts and will continue to campaign both industrially and politically to ensure passengers using Arriva Rail North Train Services are afforded the respect they deserve and are provided with a continued and guaranteed safe, secure and accessible railway." Arriva Rail North say they will be operating a reduced timetable with very few trains running before 9am and after 6pm. They say they expect to run around 30% of services and all customers are advised to plan carefully if they intend to travel on the rail network. This weekend also sees a significant event taking place in Liverpool with the third visit of The Giants - a large street festival with hundreds of thousands of people expected to attend. "On Saturday, as a result of RMT strike action, we will only be able to run a very limited service, with most trains to and from Liverpool starting after 8am and finishing before 7pm.